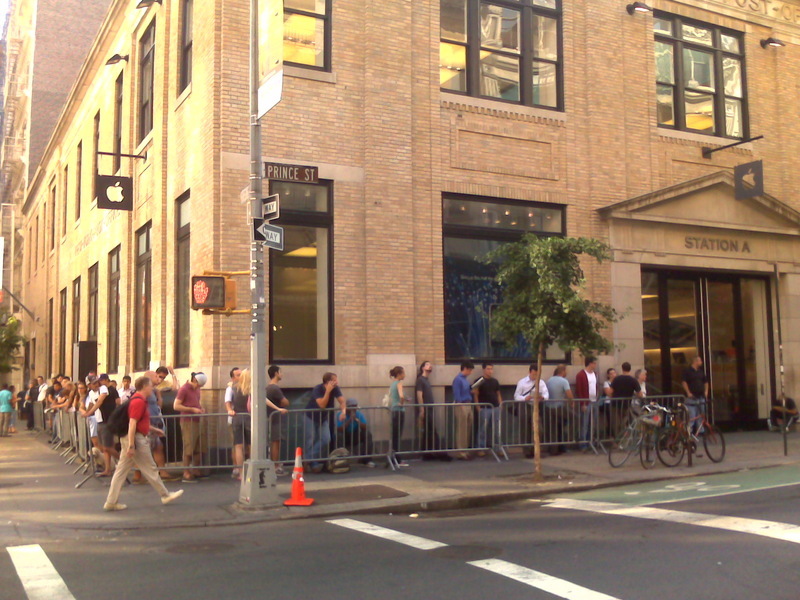 It has been almost three weeks since the iPhone 3G was released, and yet every morning I see a huge line in front of the Apple store in SoHo. Can't people wait another week or two to get one? They're waiting in line to get their phones repaired. These people aren't waiting because they want too. Apple are dictators you can't purchase this phone without it being activated before you leave the store thus the long lines. They tell you on their website and when you call expect to be in that store for an hour if not 2. They also only sell them during certain hours again thus the line. They aren't in that line on the weekends. They all come up here to the Hudson Valley/Catskills to show off the new I-phones to the locals who could care less! Someone was at my show last weekend going crazy taking picts of me, I had to stop and makes jokes about him! i am glad I got mine on release day. e estava fazendo uma pesquisa na internet e vi que voce comentou sobre o meu trabalho, super obrigado e agora vou sempre passar por aqui !! !